I wrote to the Regimental around the time of Jimmy Baker’s death, to ask why nothing other than the briefest of obituaries is posted on the death of an ex-comrade, unless they are a high-ranking officer. Time, money and resources were the reasons given and of course are the reasons one would expect. It seems to me most of us have great memories of the individuals who usually embodied what it meant to be a ‘Skin.’ These individuals were not necessarily high ranking officers, sometimes they were troopers, but all of them influenced and shaped our lives within the Regiment. Indeed, these people, the likes of Jimmy Baker, constituted the Regiment and embodied what it meant to be an ‘Inniskilling.’ I can think of a long list of names, of skins who made the Regiment what it was. I was quite disappointed when nothing appeared about Jimmy Baker because for all his naughty antics, he was a legend. And everyone of us can site similar legends all destined for the dustbin of history unless we remember them in a more tangible way. I find it sad that no resources are provided to keep alive and share memories and anecdotes. A blogging format provides a fantastic tool to compile information and resources that will, if cared for, outlive us all and provide a far greater insight into the lives we shared than can be gleamed from records and artifacts. I actually set this account up in 2012. My intention was to provide a forum for people to post memories and obituaries so our comrades and experiences are not forgotten. So the experiences we shared, whether good or bad can be extended and in a sense to conserve the memory of a very great Regiment with a unique tradition. Technology gives us the tool to collaborate in creating a unique record and we should use it. On Wednesday 1st of December 2010, Taff Coleman, (Band) was killed on his motorcycle. He was special to many of us. I don’t want his memory to simply become a number, a faded photo which in the not too distant future will be passed over with little pause or reflection. Computer technology is constantly changing but it will always be via a method where previous compiled data can be updated into what ever new formats emerge. Facebook and social networking sites are great resources but they do not provide the framework for compiling what is basically a historical resource. 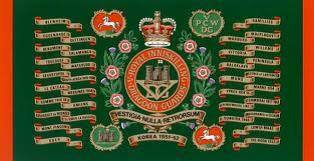 This site is not intended to provide social networking, that is the role of Facebook, but it can provide a greater insight into the life of our Regiment and it’s individuals. I had the pleasure of serving with the “skins” from 1977 to 1981 in Imphal with the REME., as a Control Equipment Technician. I was first with D squadron and finished my time with B squadron. JB back then was our CSM, I also have some photos of those times if you are interested? Michael, thanks for your visit. I tend to write something here every month or so but have been busy lately. I’d love some photos. I will e-mail you in the next week or so. Thanks. Do you know James A.W.Stewart ,1982 in Osnabrück barracks ? I’m sorry, I don’t recall that name but I was in the band and it was a small unit. Try the facebook site. Good luck!